Our last blog post dealt with the situation of the Mizrahi communities, the so called "Oriental" Jews in Israel. Within this post we summarised the path of these communities to become one of the strongholds of the political right in Israel. At the same time, however, we emphasised that just like any other section of society, also the Mizrahim should not be seen as a unified block, but instead as a heterogeneous community with multifaceted cultural and political identities. 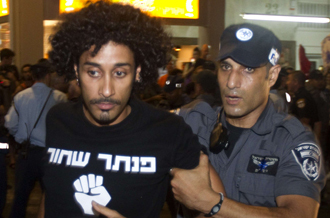 The case of the Israeli Black Panther movement, which emerged from the midst of the Mizrahi communities in the early 1970s, and which is righteously seen as one of the most radical and important political forces to have ever materialised in Israeli history, attests to this notion. The Black Panther movement emerged from the impoverished West Jerusalem neighbourhood of Musrara, located at the so called seam line, which before 1967, separated West Jerusalem from the then Jordanian controlled East Jerusalem. After the war of 1967, the Israeli economy experienced an unprecedented boom that however mainly benefited the Ashkenazi elite. 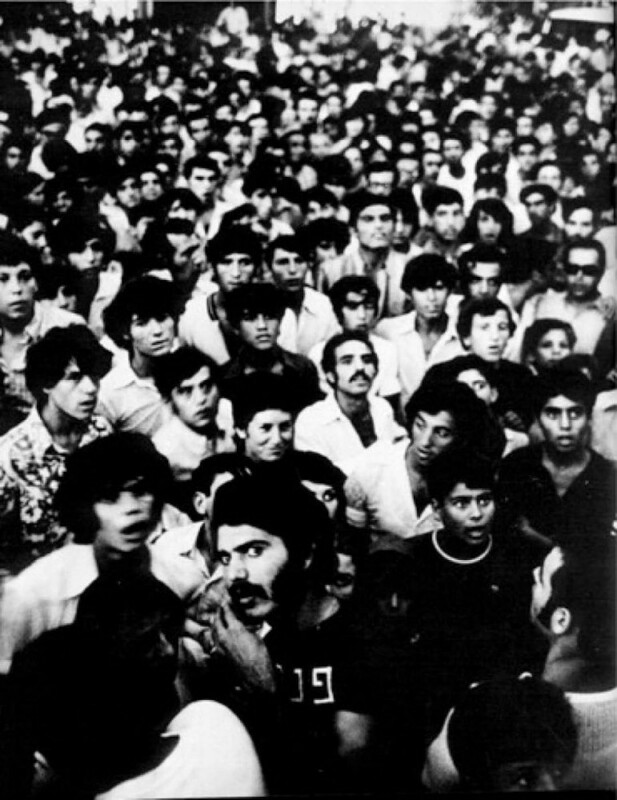 Realising that equality between Ashkenazim and Mizrahim was reduced to the battlefield, and that their socio-economic situation remained the same, a group of Mizrahi youngsters took to the streets of Jerusalem in 1971, trying to raise attention to the distress of their communities. The Israeli authorities who had denied the group permission to protest, reacted with disproportionate force against the demonstraters, which however only spurred the discontent among the wider Mizrahi community and thereby enlarged the base of supporters of the movement. Alerted by the unrest in the streets, a few politicians, including then Prime Minister Golda Meir, met with members of the movement, supposedly in an attempt to address their demands. Meir's main conclusion from the meeting was that the Panthers were "not nice people". On the other hand, however, the government did start to pay more attention to the socio-economic situation of the lower strata of Israeli society, which in turn led to a first time official acknowledgement of the link between economic distress and ethnic background, a notion that has to be seen as a direct achievement of the continued protest activities by the Black Panthers. Apart from demanding improvements of their own living conditions, the Black Panthers also were among the first ones to connect the oppression of the lower classes and especially of the Mizrahim to that of the Palestinians. Seeing themselves as a "natural bridge" for peace and calling for a "true dialogue" with the Palestinians, indvidual members of the Black Panther leadership were also among the first Israelis to establish contacts with the PLO, the Palestinian Liberation Organisation, a notion that would even further marginalise them from Israeli politics. With the Yom Kippur War of 1973 and a return to a discourse centred around the security of the state, the radical critique of the Panthers and the social protest that they engendered was once more swept aside to the margins of the public debate. 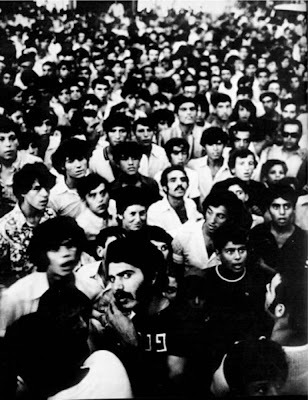 The Panthers' attempts to place their movement within a more institutionalised and more organised frame, which also entailed their running for parliamentary elections at the end of 1973 failed and the movement pretty much ceased to exist. Many of the members of the movement do, however, continue to engage in the struggle for Mizrahi equality in a number of different organisations and parties. 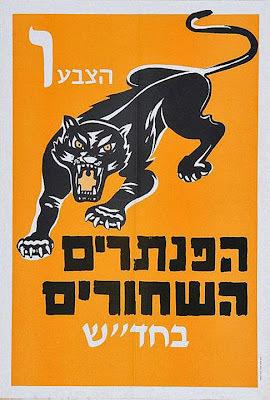 Although even today the story of the Black Panthers is by and large marginalised by official Israeli historiography, their role as the "heralds of a new Mizrahi discourse" is undisputed. Notwithstanding their early collapse as a movement, their importance of breaking "the dam of silence" and of "triggering an irreversible process of radicalizing Mizrahi political consciousness" cannot be denied. The movement changed the course of history as it achieved to unmask the issue of the Mizrahim by presenting it as a permanent issue on the political, public and academic agenda in Israel, which can no longer be relegated to the side. Tragically, many of their achievements, especially the mobilising of Mizrahi masses would later benefit other more moderate, and also right wing groups and parties, whose representatives consciously distance themselves from the radicalism of the Panthers. In the new Green Olive tour through the West Jerusalem neighbourhoods , you will also pass through the Musrara and learn on the spot about the Black Panther movement.